Is it possible for a father to grant a Medical Power of Attorney to another person for the general health care of their child? In my WIP, I'm dealing with an emotionally abusive father who isn't particularly concerned with the health and well-being of his minor daughter (the mother is dead.) I wondered if her best friend's parents might convince him to give them a MPOA (or whatever the abbreviation is) so they could take her to the doc when she is sick, etc. Later in the story he turns physically abusive and she ends up in the hospital and will need treatment -- he'll be at home passed out from alcohol and won't be able to grant it, so ... would the friend's parents be able to grant that? Would they even need the MPOA? How would she be treated if there was no responsible adult available? Oh, and this takes place in 1999, not today. Yes, the father can grant medical power of attorney to whomever he wants. But... if there is not paperwork what happens when the child presents for medical care? If the child presents with a life threatening situation-- we will begin treatment regardless of ability to obtain consent. If no life threatening situations exist the hospital is required under EMTALA to provide what's called a Medical Screening Exam (MSE) to determine if the patient is having an emergency or not. If the patient is not having an emergency, the emergency department can opt out of treatment. However, in this case we could do the MSE and then try and contact next of kin for consent. Hospital policies generally dictate who can give consent in cases like this. However, if there is concern for abuse-- we will sign the patient in and get social work involved and follow their direction. We would likely treat this patient under those conditions. My WIP is set in the late 1800's, and my hero is in a wheelchair. Is there some kind of an injury that isn't permanent and is more of a mental thing? A doctor told my hero that he can walk. Even though my hero is a doctor, too, he doesn't believe it. He doesn't know it's because he blames himself for his sister's death. Does such a thing happen? If so, what would it be called, and would someone massaging his legs and bending them and stuff help him get better? Or how does one recover when their injury is partially due to trauma? Thanks for sending me your question, Debra, and many congratulations on your latest release, Colorado Courtship. Yes, such a thing does happen! I think what would fit well for your character is a conversion disorder. Conversion disorder symptoms may occur because of a psychological conflict. Symptoms usually begin suddenly after a stressful experience. People are at risk of conversion disorder if they also have a medical illness, or the other mental health problem of dissociative disorder (escape from reality that is not on purpose) or a personality disorder (inability to manage feelings and behaviors that are expected in certain social situations). Persons who have conversion disorder are not making up their symptoms (malingering). Some doctors falsely believe that this disorder is not a real condition and may tell patients the problem is all in their head. But this condition is real. It causes distress and cannot be turned on and off at will. The physical symptoms are thought to be an attempt to resolve the conflict the person feels inside. For example, a woman who believes it is not acceptable to have violent feelings may suddenly feel numbness in her arms after becoming so angry that she wanted to hit someone. Instead of allowing herself to have violent thoughts about hitting someone, she experiences the physical symptom of numbness in her arms. Would massaging his legs help him get better? Of this I'm not sure. Treatment would probably pertain to how they treated these injuries at the time. Massaging may help psychologically and therefore "improve" the injury. If he's not using his legs-- what will set in is atrophy/contracture of the muscles-- like foot drop. What can help this is stretching and splints as far as contractures but muscle atrophy is going to develop depending on how long he's in the wheelchair. How does one recover when their injury is partially due to trauma? It depends on what the actual physical injury is which you haven't outlined here. Psychologically? That's a whole other ball game. There is no set time frame for matters of the mind so you would have some leeway here as an author. It depends a lot on the patient and whether or not they want to get better. 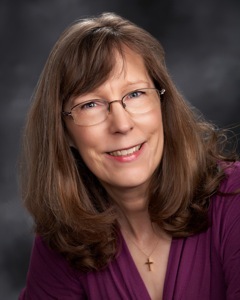 Debra Ullrick is an award-winning Christian romance author. In addition to multiple full-length novels, her stories have been featured in several novella collections, one of which made the New York Times bestseller’s list. Debra is happily married to her husband of thirty-eight years and has one daughter. For over twenty-five years, they lived and worked on cattle ranches in the Colorado Mountains. One of those ranches is partially owned by a famous movie star and her screenwriter husband. Debra loves writing, reading, feeding wild birds, animals, watching Jane Austen movies, COPS, or Castle, classic cars, mud-bog racing, and monster trucks. Mine-- excellent. Poison launch is going well and I was ecstatic to get this STARRED review from Library Journal. "Verdict: As intricately plotted and compelling as the first book in the trilogy (Proof),this psychological thriller will keep readers perched on the edge of their seats A must read for fans of Lis Wiehl and Frank Peretti. 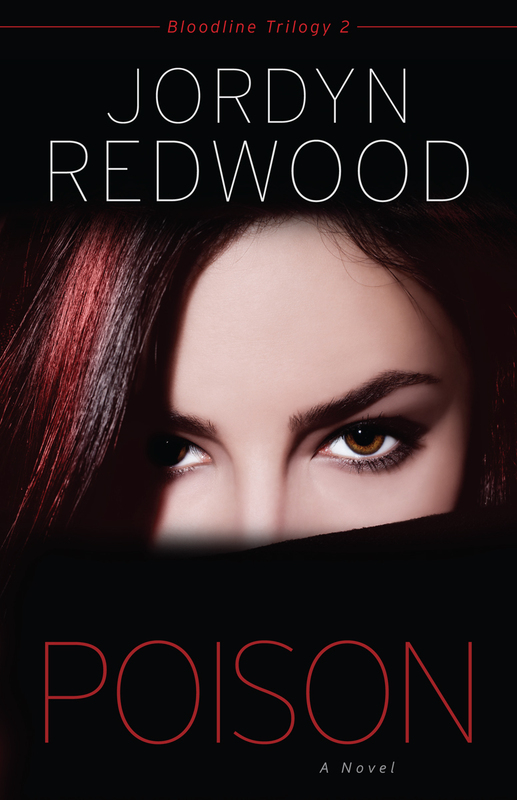 Jordyn Redwood's Poison is a terrifying journey of darkness, possession, and survival." And-- the Kindle version is now available. What new suspense books are you reading and enjoying? I just finished Andrew Klavan's A Killer in the Wind. I'd noticed he'd won a couple of prominent awards so was interested to see what his novels were like. This one did not disappoint so if you're looking for a new read on the ABA side-- check out this author's book. For you this week: It's author question week! Monday: Help! I need a medical condition. Wednesday: Medical Power of Attorney. Friday: Death by Trophy. Is it possible? Hope you all have a fantastic week. 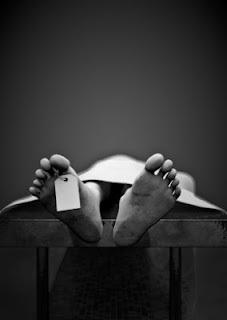 Most living people never visit the morgue. Most never speak of the morgue, except during shows like CSI, Bones, or Hawaii 5-0. The popularity of forensic TV series, however, is social proof that there’s hidden interest in finding out just what goes on behind the autopsy suite’s closed door. The word autopsy means ‘to examine for yourself’. It’s a medical procedure that sounds simple in principle – taking a look at the outside and inside of a cadaver to establish cause of death. In practice, a post mortem (PM) examination can be highly complicated and time consuming; employing leading-edge scientific expertise. There are three types of PM’s. A hospital autopsy is a non-legal process where the cause of death is known, but the caring physician wants to confirm a specific issue – such as a cancer tumor. A routine autopsy is conducted when the cause of death is not known, but foul play is not suspected. Then there’s a forensic autopsy – the one that’s going to be torn apart in a murder trial. All autopsies follow a standard protocol. It’s the nature of the investigation that determines just how in-depth the procedure gets. The deceased arrives at the morgue and is catalogued with personal details and a registration number. Yes, they really do use toe-tags. The body is then placed in a refrigeration unit and waits its turn for examination. In a busy morgue this can take several days. Usually two people conduct the autopsy. The pathologist, or medical doctor who is trained in the study of death and disease, is assisted by the deiner (German word for helper). Often there’s observers present; police officers, students, or technicians who come and go. The length of time varies – fifteen minutes to confirm a tumor, two hours routinely, and up to eight for a complicated forensic ordeal. External observation can take a good portion. The body is removed from its shipping shroud, stripped, photographed, X-Rayed, weighed, measured, and identifiers such as race, age, hair and eye color, markings, abnormalities, as well as evidence of trauma or medical intervention is recorded. In homicide cases, the bulk of the evidence can be recovered in the external exam – clothing perforations, gunshot residue, lacerations, abrasions, hair, fiber, DNA, chemical contamination, or foreign objects. The observations are recorded on notes, diagrams, photos, and verbal dictations. The corpse is placed supine, on its back, on the examining table which is an angled stainless steel tray draining fluids to a disposal sink. A plastic block is placed under the back to elevate the chest and recline the head and arms, making internal operations practical. A Y-incision is sliced from the tip of each shoulder, horizontally to the center of the chest, then vertically down to the pubic area. The skin is scalpeled back in a butterfly pattern accessing the thorax and abdomen, then the ribcage is removed exposing the upper and lower organs. The major ones are removed, weighed, and cross-sectioned – lungs, heart, liver, kidneys, spleen, stomach, and intestines. Tissue sections are exscinded and fluids are extracted – blood, urine, vitreous humor, and digestive contents. These can be of immediate visual interest, or may tell later tales in toxicology and microscopic processing. Cranial examination is the part that most newbies find difficult. The neck is now propped to elevate the head and the scalp is cut from ear to ear, peeled over the face and down the neck, then the skull cap is severed with a vibrating saw. The brain extracts easily and is often preserved in formalin to gel for later sectioning. Completion involves returning the organs to the central cavity and sewing the incisions before releasing the body to a funeral home. Tissue and liquids are retained for histology and toxicology. 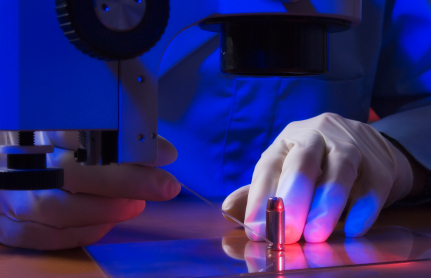 In forensic cases, exhibits such as bullets, trace evidence, DNA standards, and clothing are transferred to the crime lab. Often the cause of death is conclusive at autopsy. Occasionally nothing is known until the lab results come in. And sometimes… it’s never determined just why the subject died. Our scientific understanding of life and death is extensive, but it’s far from perfect. I don't know about you, but I was fascinated by the Lance Armstrong case. I was one that supported him and his assertion that he wasn't involved in anything nefarious. I know, call me gullible because I guess I have been proved seriously wrong. What I couldn't wrap my head around was how he passed hundreds of drug tests/doping tests and they were all negative. It was only in Lance's recent interview with Oprah did it become clear that his undoing was the biological passport. A biological passport is essentially a baseline of an athlete's normal biological markers that is created over the testing of several specimens. This is then compared to data that is taken near the time of racing. If there is any strange spikes than the athlete is suspected of doping. And this is what happened to Lance. Evidently, they compared data of some later races (those in the late 2000's) to his data from the Tour de France and that's how he was first suspected. The testing around his original Tour de France wins had much more lax testing. There were no surprise visits to the athletes home so Lance and others got very good at timing when drugs would clear their symptoms. However, the biological passport was something they could not surpass. So of course, my suspense authorly mind began to consider ways the biological passport could be used for nefarious puposes. 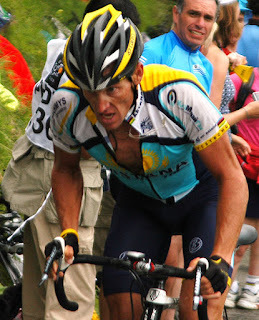 What do you think about Lance Armstrong? How do you think the biological passport could create a suspense plot? As research for my next trilogy I've been reading a lot of non-fiction books surrounding near death experiences or NDE's. To Heaven and Back is the personal account of orthopedic surgeon Mary Neal and the events of her life after she drowned and was later resuscitated kayaking on a river in Chile. What's interesting, is just like Eben (who suffered from an extremely rare form of meningities), it seemed like God used Mary's injuries to get her attention. As she was kayaking, she was trapped in the boat underneath a deluge of water. As people tried to rescue her, both her legs broke as she was sucked by the water out of the kayak. On top of that, she obviously inhaled a lot of water and after her resusitation, developed a lung injury (likely pulmonary edema) related to drowning. What amazes me is that she and her doctor husband chose to take public flights back to the US without medical attention (they were initially treated at a clinic) which probably should have resulted in her death considering how sick she was. A couple of things facinated me about her account. One: Her views of God and our life. She gives an account of a conversation with an angel in a field where we know our life plan before we come to earth. God essentially lays out the blueprint for our approval and there are several branches of where we can make good and bad choices. This fascinates me on many levels-- such as-- did I really choose or "give the okay" for this kind of trauma in my life. Because if so-- man!-- I was really crazy to think that was a good idea. Unless we remember that suffering and crisis for many people brings them closer to God. Two: The events surrounding her son Willie's short life are nothing short of astonishing. During this conversation with an angel she learned that she needed to go back to help her family cope with the forthcoming death of her son before his 17th birthday. I believe the night before his 17th birthday, a man had pulled a gun on her son after a minor car accident. This incident he survived. But a short time later, as he was on a hike with a friend, he literally looked out over the landscape and said something close to-- "Wouldn't this view be the best thing to see before you die?" And within minutes he was run over by a car and killed. The whole account of Willie's life is seriously skin chilling and inspiring. Three: How God uses nature as a witness to His presence. Really, you just have to read her story to believe some of the things that happened here. Barren trees blooming after loved ones had died. What was amazing in reading these books about NDE's is the other things that occurred to these people after their experiences-- nothing less than what I would call miracles. How has your week been? Mine-- excellent and a little crazy. For those of you who are interested, I've been out and about blogging for my latest release Poison. Here are some of the blogs who have been featuring posts and I hope you'll stop by and check them out. Candace Calvert's Blog: A Pinch of Poison. Check this one out for a chance to win Poison! Dale Eldon's Blog: The Duality of Toxins. Thriller Writer: Where do those story ideas come from? Monday: Book review of To Heaven and Back by Dr. Mary C. Neal. What do you think about near death experiences? Wednesday: Lance Armstrong and the biological passport. Friday: Garry Rodger's returns for Forensic Friday and it's all about autopsies. I hope you all have a fabulous week. Do Do I Need a Coroner, Medical Examiner or Pathologist? I'm so excited to have Garry Rodgers join my honored team of medical experts. To be honest, I've been looking for someone on the "other side of life" to offer their insights because I do see a fair number of forensic questions and this is not my area of expertise. I try to keep the living from crossing over. Garry will be here on a regular basis doing Forensic Fridays and I'm so glad to have him. I hope you'll check out his novel, No Witnesses to Nothing. Hi. I’m Garry Rodgers and I’m delighted to be a guest on Redwood’s Medical Edge. For over three decades I’ve been involved in the death business. I’ve been a Royal Canadian Mounted Police homicide detective, served as a sniper on Emergency Response Teams, and finished up my forensic career as a Coroner. So I’ve seen my fair share of bodies. Everyone knows what a homicide cop does, and most would rather not be in the sights of a sniper, but there’s a lot of misunderstanding about the role of a Coroner as opposed to a Medical Examiner (ME) and to a pathologist. A bit of a history here. All civilized jurisdictions have a judge of the dead whose duty is to find fact. Not fault. The facts to be determined are the Who, When, Where, How, and By What Means that the deceased expired. Once these facts are determined, the death must be classified into one of five categories; Natural, Accidental, Suicide, Homicide, or Undetermined. This method of fact-finding and classification is universal, whereas the structure of appointing the judge is not. The office of the coroner dates back to 10th century England when the Crowner of the King (hence the word coroner) investigated any number of matters, including sudden and unexplained human deaths. This evolved into an inquisitional role where the coroner would conduct simple inquiries, or in cases of public interest, would hold inquests and compel witnesses to testify. Coroner appointments generally went to upstanding citizens of the community, not necessarily to those of a medical, legal, or investigative background. As science progressed, it became prudent to retain the expertise of medical professionals, particularly in the clinical areas of autopsy and toxicology. This coincided with the massing of population in urban areas. Out of practicality and economics, the cities would employ full time medical doctors as examiners who’d delegate field investigations to lesser qualified persons. The rural areas, having a lower caseload, adopted the reverse where they’d contract out the specialties. A pathologist, on the other hand, is a medical examiner who’s been specifically trained in the study of death and disease. The term pathologist dates back to ancient Greece; pathos meaning suffering, and logos meaning writing. Taking it a step further, a forensic pathologist signifies a specially-trained medical doctor who’s qualified to testify in court. I can’t say the Coroner system is any better or worse than the Medical Examiner system. The professionals may have inverse roles, but all are exceptionally well trained. Both speak to the deceased’s interests and that’s what’s important. Death investigations have become more complex as science advances and, regardless of the administrative issues, having the right people doing the right jobs is key to determining the proper cause and classification of death. Just a note on the personal qualities required to investigate deaths. First you need an inquisitive mind. Often things aren’t what they seem on the surface, and it’s through attention to detail that the facts rise. Second – empathy. You deal with those in the world which the deceased suddenly left; families, friends, co-workers, and to them it’s not just another case. Last, you need a strong constitution. Some of the death scenes can be exceptionally unpleasant. In an upcoming sequence of posts, I’ll take you deeper into the world of a coroner. We’ll follow a true case which I investigated that employed the spectrum of forensic techniques. I was able to correctly classify the death, but I’ll assure you… it wasn’t what it seemed on the surface. So stick around. I promise to be interesting! What Does An Occupational Therapist Do? I'm happy to host author Catherine Richmond as she discusses her "real life" job of occupational therapy. 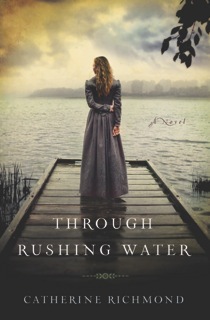 Hopefully, you can check out her novel, Through Rushing Water. Is that cover not gorgeous? What do occupational therapists do? We work with people to set goals, find their motivation, and overcome conflict - does that sound familiar to you writers? So what does that mean in practice? Currently I’m working in an acute care hospital. My patients might be dealing with anything from a knee replacement to alcohol withdrawal, cancer to pneumonia. OTs help patients return to taking care of themselves. A person who has had a stroke needs to learn how to open a toothpaste tube and feed himself one-handed. After a hip fracture, patients aren’t allowed to bend, twist, or cross their legs, so OTs teach how to use devices such as dressing sticks and sock aides to dress themselves. Families learn how to safely help the patient and support their improvement. Patients who need more help after their medical crisis is resolved might continue to work with OTs in skilled nursing facilities, rehabilitation hospitals, outpatient clinics, or at home with home health care. I’ve also worked as an OT in schools. Students with coordination problems learn to zip, open milk cartons, and write. Some children needed equipment such as a pencil grip, heavy lined paper, or a computer to complete their homework. I helped teachers adapt their curriculum to include students with handicaps. Children with severe handicaps might need positioning use their arms, changes to their food and feeding utensils for meals, and adaptations to allow them to interact with their environment. What’s the difference between Occupational Therapy and Physical Therapy? There’s a lot of overlap! In the hospital, PTs work mostly on walking and stair climbing. The PT might teach leg exercises, while the OT works on arm exercises. In the school, physical therapists work closely with PE teachers to ensure students’ participation. OT overlaps with Speech Therapy, too. The ST works on swallowing and communication, while the OT makes sure the patient is sitting correctly and provides adaptive utensils. In the early days of OT, a hundred years ago, patients stayed in hospitals for months and needed activities such as knitting and woodworking to pass the time. Since then, OT has grown and changed. So if you write about OT - and I hope you will! - be sure to consider the era and the context where your therapist is building a bridge between the person and the environment. 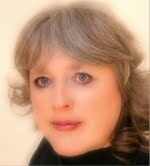 Catherine Richmond is the author of Spring for Susannah and Though Rushing Water. She supports her writing habit by working as an occupational therapist. 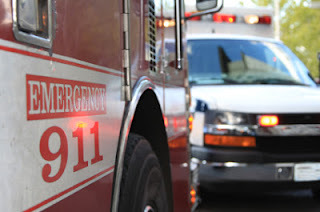 EMS expert and author Dianna Benson blogs today writing a first person account of caring for a gunshot wound victim. I love how she's written this post with such detailed information that portrays the medical info so accurately. EMS 4. Gun Shot Wound. 123 Main Street, Apartment G.
I flip my book closed—Jordyn Redwood’s newest suspense—and zip it inside my backpack. I rush from my station’s crew quarters to the ambulance bay. My partner slips behind the steering wheel; I signal us en route to the call via our laptop nailed to the dashboard. I wait for further information to display; my nerves rev up. GSW calls often place EMS in deadly situations. Even if the scene is safe at first, bystanders, the shooter, even the patient can turn violent. Prepared for anything at any given moment is the hallmark philosophy to staying alive. I hear the fear in his voice. Only six months ago, he suffered a knife wound from a patient’s husband who didn’t want us to resuscitate his wife. More information came across the screen. Once we arrive at the gas station and notice RPD has the scene in their control, I duck under the yellow tape blocking the public from our GSW patient lying supine in one of the parking spaces like a car. Five firefighters surround the patient, each one pressing towels to his abdomen, as countless cops hold the perimeter they’ve established. The firefighters step away, allowing us to take over medical care. “Sir, can you tell me your name?” I yell over the chaos surrounding me. “Ronald,” he uttered with a flutter of his eyes. I peek under the wad of bloody towels to examine the wound in his upper abdomen. Since bullets often act like a plug, gun shot wounds often don’t produce heavy external bleeding. This one the exception. Gunfire whizzes near my ear, busts the car window next to us. My heart is pounding as cops tackle some guy behind me. The scene is safe again. With the help of the firefighters, my partner and I log roll the patient onto a spine board, place the backboarded patient onto our stretcher, and wheel it toward our ambulance. We load the stretcher inside the ambulance. “Any health issues? Allergic to anything?” I continue to ask Ronald questions. One of the firefighters slip behind the steering wheel as two others hop into the back with me and my partner. I place a bunch of bandages over the bullet wound, crisscrossing and stacking them. I spike an IV bag, as my partner inserts an eighteen gauge needle into our patient’s arm. As I connect Ronald to our cardiac monitor via a 12-lead, one firefighter maintains direct pressure to fresh towels over the bandages, the other wraps a BP cuff on the patient’s right arm then clips a pulse ox to his left index finger for a blood oxygen saturation reading. I glance at the readings on the monitor. “Hypotensive and tachycardic,” I shout over the sirens wailing and engine roaring. “82 over 54. Pulse 160.” I feel his left radial artery. It’s thready. “Trendelenburg,” I say, instructing the firefighter on my right to lift the foot of the stretcher, a treatment of hypoperfusion (shock), this case hypovolemic shock due to blood loss. I’m thinking the bullet pierced the vena cava. If so, this patient is bleeding internally and surgery is vital. He’s unresponsive. I press my fingers to his carotid artery. Pulse still present. I suction blood from his mouth. In order to protect his airway, I slide a lubricated oropharyngeal airway down his throat. With a curved laryngoscope, I lift the epiglottis and gain a visual of the glottic opening and white vocal cords. I drop the orotrachael tube between the cords, down the trachea. I connect a bag valve mask over the tube opening. To keep him oxygenated, I squeeze the football-size bulb every five seconds. My partner grabs the radio, switches it to the closest trauma hospital. I glance at the cardiac monitor screen. “Astyole,” I shout out. “Take over bagging,” I tell one of the firefighters. I begin chest compressions, as my partner injects epinephrine and vasopressin into the IV line. Nine compressions later, Ronald’s eyes flash wide. He nods as we pull into the emergency department. Dianna Torscher Benson is a 2011 Genesis Winner, a 2011 Genesis double Semi-Finalist, a 2010 Daphne Finalist, and a 2007 Golden Palm Finalist. In 2012, she signed a nine-book contract with Ellechor Publishing House. Her first book releases March 2013. After majoring in communications and a ten-year career as a travel agent, Dianna left the travel industry to earn her EMS degree. An EMT and a Haz-Mat and FEMA Operative since 2005, she loves the adrenaline rush of responding to medical emergencies and helping people in need. Her suspense novels about adventurous characters thrown into tremendous circumstances provide readers with a similar kind of rush. You can connect with Dianna via her website at www.diannatbenson.com. WordServe Authors Blogging from the Publishing Trenches.